In short, you can’t. Driving test examiners are actually technically advanced bots developed by the DVSA, using a central processing unit based on Highway Code. Joking aside, contrary to popular belief, many driving examiners are in fact human, and most of them are actually quite friendly too. In terms of figuring out how to impress the driving examiner, that can be a little difficult – even if they are human. Often though, it’s the little things that have an impact and can ultimately influence an outcome. Let’s look at a few basics on how to impress your driving examiner. People form an impression about another person within the first few seconds they meet. We then usually judge that person based on that initial first impression. Driving examiners are of course professionals and shouldn’t judge people outside of their driving ability. We do however all form an initial opinion that may somewhat determine an outcome. So, arriving for your driving test in smart but casual clothing will tell the examiner that you are bothered. Ensure you have all applicable documents at hand so as not to cause any immediate complications – see what to take to driving test, and if possible, greet the examiner with a friendly smile. It’s all just a bit of basic psychology. Driving examiners tend to come in two forms – the bot type mentioned at the start, who appear devoid of emotion and simply emit instructions on what you need to do, and there’s the more chatty types. You’ll be able to distinguish the type you have been assigned on the way to the car. The more friendly and chatty examiner type will initiate a conversation on the way to the car, essentially as a means to help put you at ease. Use this to your advantage and during the driving test, strike up little conversations with the examiner. This could be about their job, the type of people they have had on the test, scary moments etc. A driving examiners job can become monotonous, so having a friendly chat and perhaps a laugh may break up any monotony. You may also find that having a chat helps to alleviate tension and stress and by making you more relaxed, helps you on the test. This may all sound a little superficial, but the fact is that we all tend to be a little more lenient and forgiving to people we like, compared to those we feel impartial to. If however, talking and driving isn’t your thing and you feel that is may increase your chances of making mistakes, you’re probably better off keeping quiet. So mounting the pavement and taking a little old lady out isn’t going to pass a driving test any time soon. But what you need to do is reassure the examiner you are safe. A clean test report at the end isn’t too common, so the chances are, you will make mistakes. Although driving examiners have predefined rules they must follow, they also have rather a lot of leeway in determining whether a particular fault is only a minor, serious or dangerous. If you make a fault and are aware of it yourself, tell the examiner that you are aware of this. So for instance knocking into the kerb may or may not fail a driving test. But by informing the examiner that you are aware of the mistake you made and that you’ll ensure it doesn’t happen again is far better than the examiner believing that you are completely oblivious to the error. This could apply to many faults and errors to a certain degree and it will allow the examiner to test you further in this area to ensure it isn’t a recurring error. We all admire a person who perseveres and driving examiners are no exception. If you mess something up, ask if you can do it again. Take one of the driving test manoeuvres for example, if you make a terrible mistake, such as mounting a kerb or ending up in the middle of the road, ask if you can give it another try. You’ve nothing to lose and if there’s enough time, the examiner may well let you have another go at it. There is of course some things that aren’t recoverable, such as running a red light for example as that would be pretty much fatal, but there are plenty of things that may be a test failure, but turned into a minor. Generally what we’re saying is that examiners won’t turn a blind eye to anything, but providing it’s not dangerous, they will often be willing to let you give it another go to prove yourself. Outside of this, then there’s not much else you can do to impress the driving examiner and it really comes down to your driving ability and safety, of which there are plenty of tips within these pages. Driving examiners are mostly looking for natural and safe driving. Don’t listen to anyone saying that you should drive a certain speed under the speed limit, all that’s going to achieve is to annoy the examiner and perhaps even fail the driving test. On the whole, keep up with other motorists provided they are keeping to the speed limit. Situations where you can allow yourself a little more time than other drivers are all the various junctions which include roundabouts. Examiners expect this as you are a learner and may require a little more time. Manoeuvres in particular, keep nice and slow with plenty of observations. Mirror checks are particularly important, but you don’t need to exaggerate head movements as examiners are perfectly aware of your mirror observations. I have my 3rd test on wendsday so nervous I failed my 1 one becouse where I stopped on the left I would have potentially blocked someone in then the 2 one I failed was because I was hesitant because there was a lady oppersite me and she kept stop starting and I wasn’t to sure whether I could go or not and then I was in the wrong lane for the turn I wanted to Make so thats not good but I only came out with 2 minors on my 2 second one I’m so worried the same thing is going to happen again when I get nervous if I don’t know where I am I can tend to panic how do I overcome those nervs besides places I don’t know my driving is excellent !! any advice ..
It’s very common for learner drivers to drive great during lessons and then on the test drive erratically. It’s a psychological issue that produces nerves. I often find that if you try to convince yourself that you don’t care if you fail, then this reduces the nerves. It’s the worry of whether you’ll pass or not that piles on the pressure and increases nerves. Another method is commentary driving. This is essentially talking yourself through the test and works very well. It’s kinda like a second person giving you instructions and helps with the nerves too. I’ve had people do this out loud during a test, but you can talk in your own mind if you wish. Might sound a bit mad, but it does work. So for example if you were making a left turn, you would say ‘main mirror, left mirror, indicate to the left, check junction for hazards, all clear’ etc.. I just failed my exam yesterday and one serious for Use of Speed…And I totally agree with the speed part wish I had read your artical before. Additionally, the examiner told my instructor I slowed down too early approaching the roundabout and then build up the speed bit more to reach the stop line. 20 mph in gear 3 was my approaching speed (without blocking anyone). In order to be able to read Road signs , what speed would you suggest then? It’s difficult to say without seeing the specific road, but generally do the speed limit if it’s safe to do so. So if that road is clear and you have a clear view of the road ahead, do 30 mph. If you’re passing parked cars for example, then you might want to slow down due to the extra hazard. Use the highest gear possible at all times in which your car is comfortable with. Approaching roundabouts / speed is often related to what you can see – open / closed roundabouts / junctions. So in a 30 mph area, if the roundabout is open / clear on the approach and you can safely see that it’s safe to continue, there’s no need to slow down as much compared to a closed roundabout / junction. Essentially, there’s no specific speed for any situation as every situation is different and requires early observation to assess which speed is appropriate. If you don’t mind a little chat whilst driving, try and start a little light-hearted conversation with the examiner. That usually works well for nerves and think of the test as a ‘dry-run’ so that you don’t put too much emphasis on passing. I am a disable person and I can’t move my right leg properly. Owing to this reason I must drive an automatic vehicle. I must apply both accelerator and clutch pedals by my left foot which it can be a little bit weird for examiner and may be indicate him or her to wrong direction about how I am driving during the exam. Is it really a big problem and how could I have to explain my condition to make examiner sure about my ability? I am concerned if the examiner judges my ability based on my health condition rather than my ability. 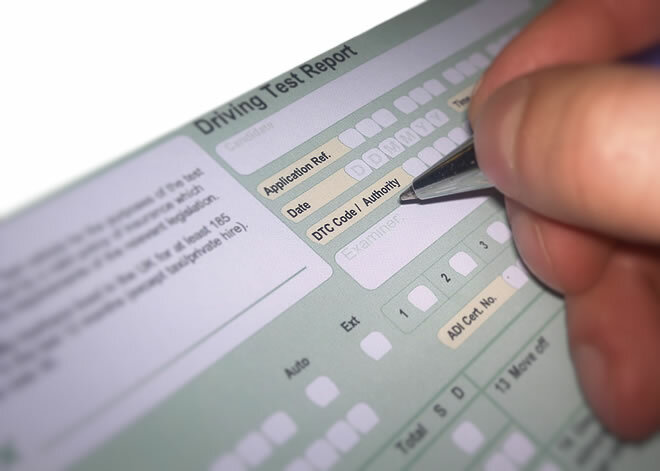 Assuming you have a left-foot accelerator fitted to your vehicle, then I can assure you that an examiner will judge your ability to drive just the same as they would any other test candidate. I am having some problems when I drive even if my instructor keep repeating me how to do ,but I keep doing same mistake, but my main problem is to positioning at roundabout and usually don’t know why I.forget to look.at mirrors. Your instructor needs to find an alternative way to deal with this. Whilst telling some learners on how to do something is sufficient, for others it isn’t. You need to see what is coming and think through what needs to be done before you get there – at the moment, you’re dealing with it whilst at the situation. So for example the instructor needs to ask you what type of road system is approaching. Ensure you always look for road signs and you see a roundabout sign. The instructor then tells you where to go; 1st exit for example. Then the instructor asks you how you’re going to do it in plenty of time before you get there. So you’ll explain ‘main mirror, left mirror, signal to the left etc’…Then, say it aloud again whilst dealing with the roundabout. So it’s all about getting you to see the approaching situation, you explain how you’re going to deal with it and run through it again whilst dealing with it. Hello everyone, do anyone know an approved driving instructor in Chingford? I have my driving test on tuesday and due to complications, my instructor will not be there on the day of the exam. Is it possible that taking my own car that i have more experince driving anyway would increase the chances of me failing? Taking your own car or using your instructors car will make no difference to the test result. The differences are which car you feel most comfortable and confident in driving. If you have more experience in your own car and feel confident driving it, you’ll have a higher chance of passing. i have driving test tomorrow what would peoples top tip be for me? Good luck on your test Tristan. Nerves usually impact tests the most, so do your best to just try and relax and if you make a mistake, put it behind you as it may well just be a minor fault. Keep at it Tristan, you’ll get there. I got the “offended bot” examiner today. He started huffing as soon as he got in the car, visibly disturbed by his incapacity to… adjust his head restrain and his belt, also by the fact that he had to (oh, my God, no) bring his own rear mirror and L plates. Guess we all guessed the outcome of this test. Main failure: (not) use of mirrors – as seen in the report. I believe that the ‘bot’ didn’t realize that some people only need a fraction of a second to check a mirror and a blind spot, and he was expecting everyone to stare at each mirror for a few seconds. Oh, well. I’ll get next one cookies and a cup of tea, maybe this way we’ll start on the right foot. Yes, examiners are a bit of a mixed bag. Some approachable and polite and others, well..
Examiners have always stated that a leaner need not emphasise mirror checks as the examiner can always see what’s going on…..so I’ll leave you to make your own mind up on that one.